Ongoing discussion of anything not related to Nissans or diesels. Been pretty quite in here for the past while. Yeah, it is. I'm still working on my 720 with the smoke issue, I disassembled, honed one cylinder, and reassembled, but I put one connecting rod cap in the wrong way. The motor turned over fine by hand but the first time I cranked it with the starter it locked right up. The cap and crank were both galled. I really don't want to put any more work into this motor, seeing as how many problems it has given me so far, so I'm contemplating if I want to do an engine swap or junk/part out the truck. The body is rather rusty. I'm really kicking myself. That's kinda crappy news. How bad is it "galled" ? Any way you can get it polished out ? 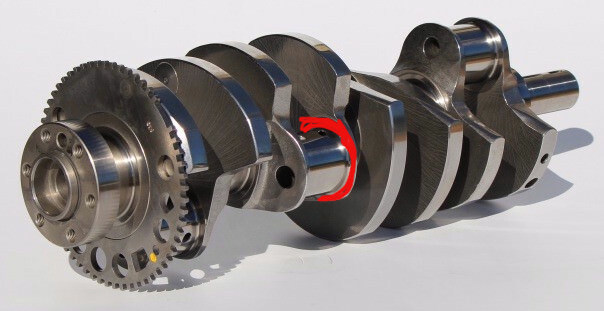 I have another crank that just has a bit of surface rust and would be easy enough to fix up, but... I never conclusively fixed the smoking issue, and at the rate of carbon buildup I doubt it would've made it more than 10k miles. car-part.com has a bunch of Z22/24s around but the closest diesel is 1000 miles away and not cheap. Not sure where you are but perhaps check some marinas. They may have an old CN4-33 lying around. It's the same thing. I basically lost my computer for a while, it updated in September and that Microsoft spyware called Cortana on my Windows10 system and that screwed up my computer ability to process photos, it updated 2 more times and each time after removing the Cortana I could relearn how to do photos, well the last time it updated they made it impossible to remove Cortana, when I realized I could not remove it I hit the computer so hard it had to run a diagnostic to start up again, I shut it down and didn't start it back up for 9 months, I used my old computer with Windows8 till the computer guy called me about cleaning out his gutters, so I talked to him and then took the computer to him when I did his gutters and he put Windows7 on this computer, it's a way better system and everytime it updates I do not have to relearn how to do photos. I didn't use my old computer for much other than to see my emails as if I tried doing photos the CPU would overheat and Windows would get corrupted, so mostly it was in sleep mode, I got so used to just ignoring the computer I just forgot about this site when the good computer was working again, I was doing other stuff for several months that was not diesel related. I just updated my 1980 Datsun 720 thread in the user rigs section. but they have some really good ideas.